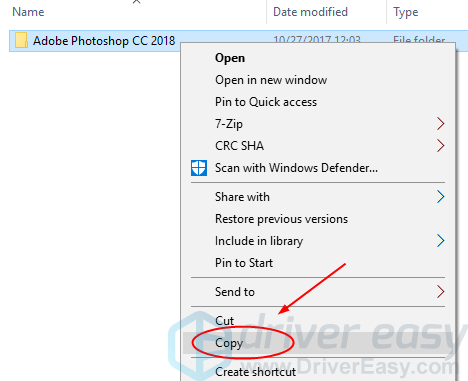 You double-click the shortcut of Adobe Photoshop on your Windows desktop as usual, but unfortunately this time you doesn’t see the normal window of Photoshop; Instead, you see an error window saying Photoshop has encountered a problem with the display driver. You cannot edit or design an image now. You must be very annoyed and frustrated by this problem. Don’t be nervous. The good news is you CAN fix this problem easily by yourself. Here in this post, we will introduce two methods to you. Please try Method 2 if Method 1 doesn’t work. This problem is usually caused by an old display driver on your computer. You can update your display driver to quickly solve this problem. 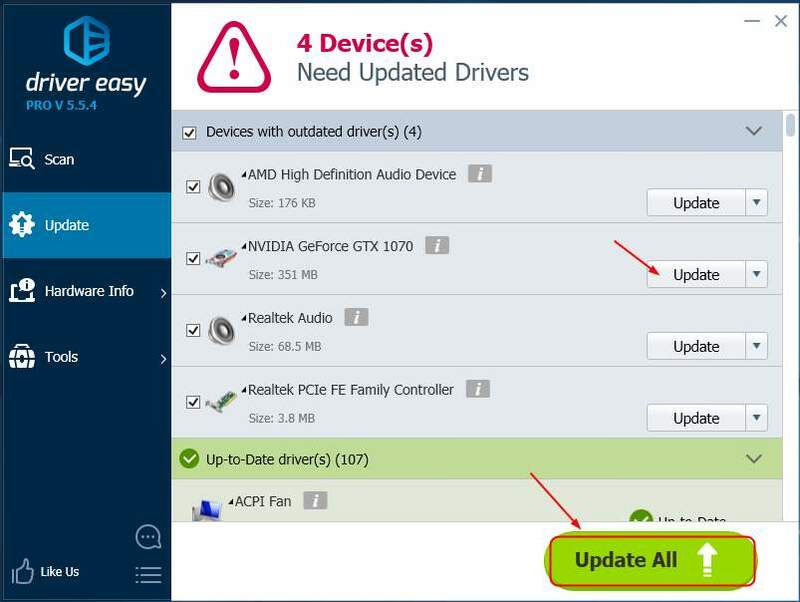 You can choose to update your display driver manually, or alternatively do it automatically with Driver Easy. You can download the latest display driver from your computer manufacturer’s website or your video card manufacturer’s website, like AMD, NVIDIA, Intel. 1) Go to the manufacturer’s website and find the driver download page. 2) Find the correct latest driver for your video card. The driver should be matched with your video card model and Windows system. 3) Download and install the driver on your computer. 4) Restart your computer and try to run Adobe Photoshop to see if successfully. 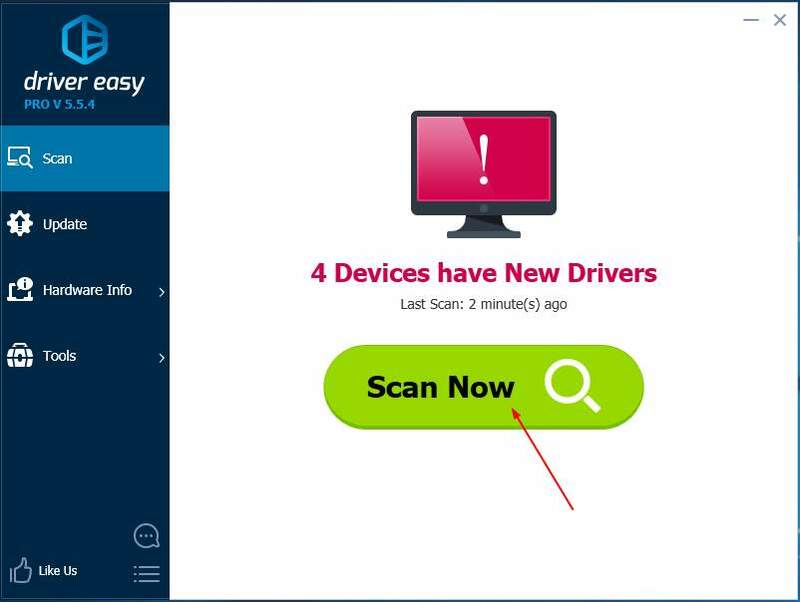 If you’re not familiar with updating drivers manually or, if you want to do it quickly and easily, let Driver Easy help you. 2) Click Scan Now. All drivers problems of your computer would be detected in less than 1 min. Your display driver is no exception. 3) If you try the Free version, click Update next to your flagged display driver to automatically download and install the correct version of this driver. Mostly, your Photoshop is installed in the system drive (where Windows system is installed and usually it's C disk). But, your Photoshop could be installed in other drive. 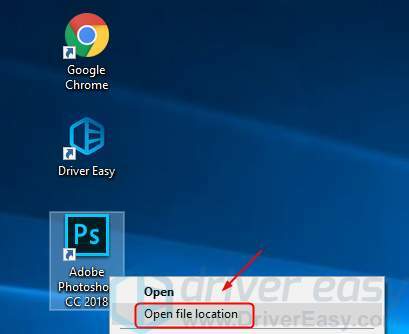 If so, there's probably problems while locating your Photoshop files and display driver through different drive. As a result, when you open Photoshop, the error shows up. 1) Right-click the shortcut of your Photoshop on your Desktop, then select Open file location. 2) Check the file address if it's in your system drive. 2) Right-click Adobe Photoshop CC 2018 (yours maybe 2017, 2016, etc. ), then Copy. 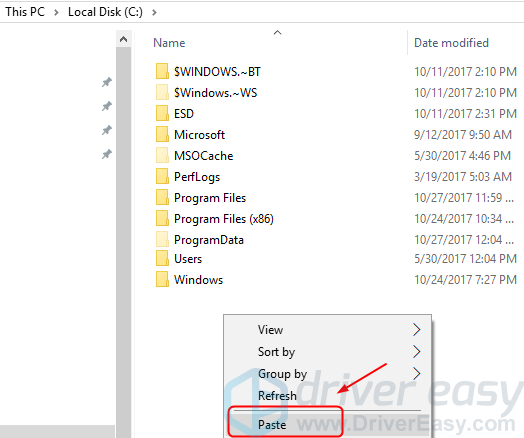 3) Go to your system drive (usually it's C disk), then right-click on the blank area and select Paste. 4) Restart your computer and run Photoshop to see if successfully.